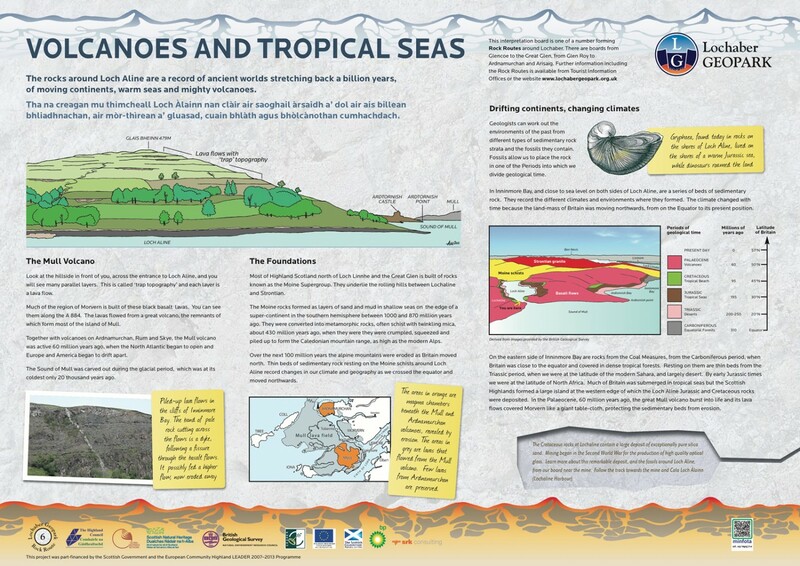 An excellent interpretation board exploring the effect of volcanoes and shifting continental plates on the geology and topography of Morvern. 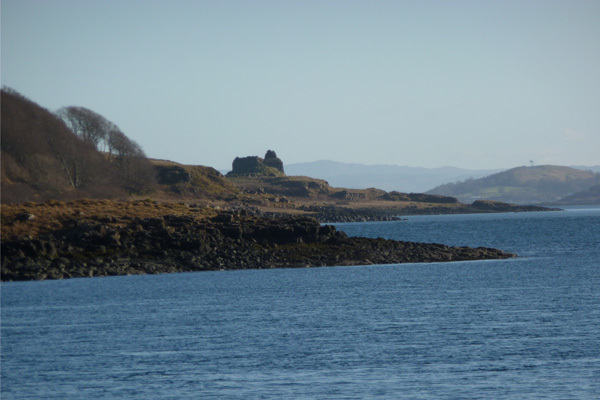 Repeated lava flows have shaped the landscape of Morvern resulting in ‘trap topography’, very much evident around Loch Aline. 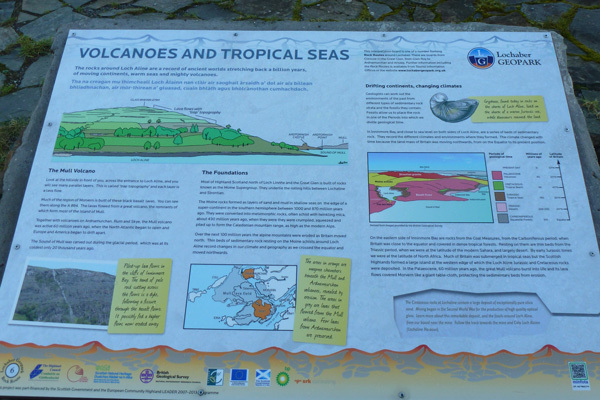 The interpretation board also describes the rocks underpinning the region; the Moine Supergroup, from sedimentary sandstones and mudstones metamorphosed during the formation of the Caledonian Mountain Range. Look out for fossils in the sedimentary rocks overlying these Moine shists. The sedimentary rocks also track changing in climate during the movement of continents (continental drift) over long periods of time. A fascinating insight into continental drift and the effects of changing climates and repeated volcanic eruptions on the landscape. 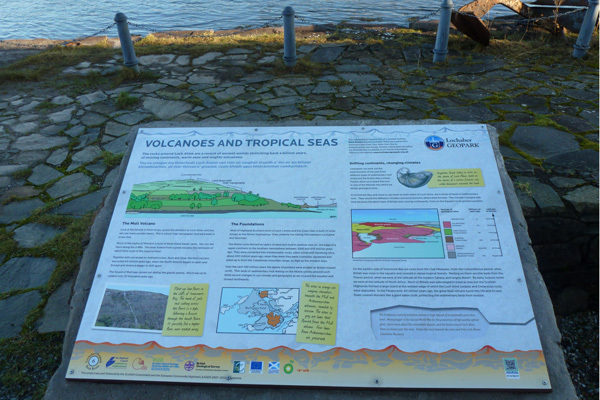 The board is located in the ferry car park by the Lochaline ferry terminal.